Bikes are a source of pride and symbol of independence, yet all too often kids are seriously injured when they fail to follow basic bike safety rules. It is important that children understand that a bicycle is not a toy, it’s a vehicle; and with that comes responsibility! Parents, teach your children the importance of bike safety to help keep them safe. Make sure your family is safe on the road! Review the bike safety tips below with your child to help avoid preventable injuries, and make every bike ride safer. Always Wear a Properly Fitted Bicycle Helmet. Helmets should fit snuggly and sit flat on the head. Make sure the helmet meets or exceeds the current safety standards set by the Consumer Product Safety Commission. Look for a sticker inside the helmet to indicate this. Make Sure the Bike is Ready for the Road. Check that tires are properly inflated, the brakes work, and that all other parts are secure and working well. See and Be Seen. Wear bright, florescent colors like green, yellow or orange so you are more visible on the road. Stay Alert and Look for Dangerous Obstacles Ahead. Watch out for potholes, cracks, gravel, storm grates and litter; these can cause you to lose control and fall. Go with the Flow. The Safe Way is the RIGHT Way. Always ride on the RIGHT side of the road. Never, ever ride against traffic. Follow the Rules of the Road—Obey Traffic Laws. Always follow traffic signals and road signs, just like cars do. Stop at all stop signs and at all traffic lights. Don’t Wear Headphones While Riding. They may impair your ability to hear traffic around you. Don’t follow cars too closely. If you are too close, they may not see you! Always Check Behind You When Changing Lanes and Signal Your Moves Before Making a Left or Right Turn. To make a left turn: look behind you, hold your left arm straight out to your side and proceed carefully. For a right turn, hold your left arm out and bend your forearm up to make an “L”shape. Be Extra Careful at Crossroads. Over 70% of car‐bicycle crashes occur at driveways and intersections. Check for traffic before you enter a street or intersection. Always look left‐rightleft, and walk your bicycle into the street to begin your ride. Georgia law requires that all children under 16 wear a bike helmet while riding on public roads, sidewalks and bike paths. But we encourage everyone to do so! According to the NHTSA, more children age 5 to 14 go to hospital emergency rooms for injuries associated with bicycles than with any other sport. Many of these injuries involve the head. A properly fitted bicycle helmet reduces the risk of head injury by as much as 85 percent and the risk of brain injury by as much as 88 percent. These are just a few things you can do to protect your family from bike injuries. 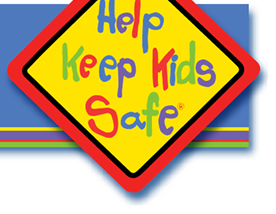 Please visit Montlick.com or HelpKeepKidsSafe.org and click on “Family Safety and Legal Tips,” to see our latest safety videos and downloadable materials, and to register for Free Safety Alerts. This Parent's Guide to Bike Safety is presented by Atlanta, Georgia Bike Accident Attorneys Montlick & Associates. Unfortunately, over the last 25 years Georgia Bike Accident Attorneys Montlick & Associates has seen lots of serious injuries and even deaths from automobile and bicycle collisions. According to the National Highway Traffic Safety Administration (NHTSA), More than one-fifth of all biking deaths occur among school age youth ages 5 to 15; and most deaths occur as a result of bicycle and motor vehicle crashes. These were accidents that could have been avoided. That's why Montlick & Associates is committed to presenting you with information to help keep your family safe. Parents please review the bike safety tips listed above with your children to help avoid preventable injuries, and make every bike ride safer!